It’s finally here. 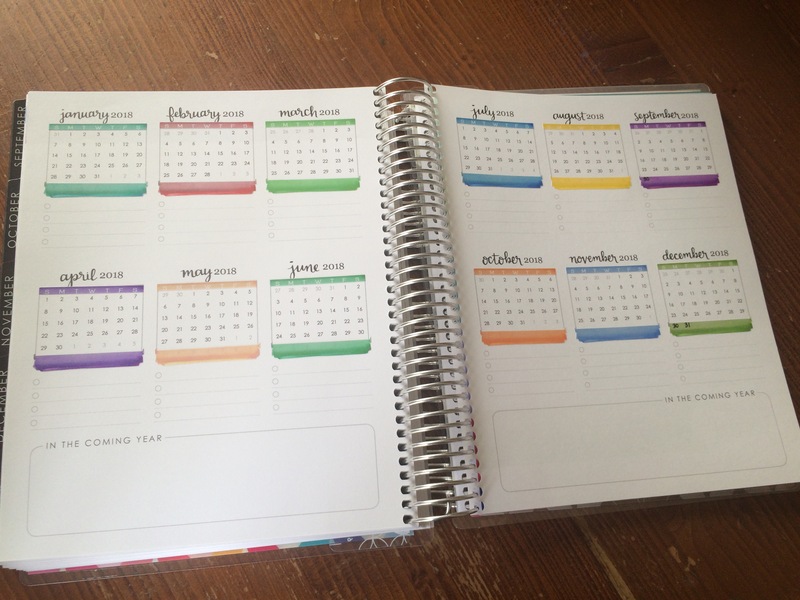 I was literally on the last page in my previous planner and I NEEDED my new one to arrive. Simply put, I LOVE IT! 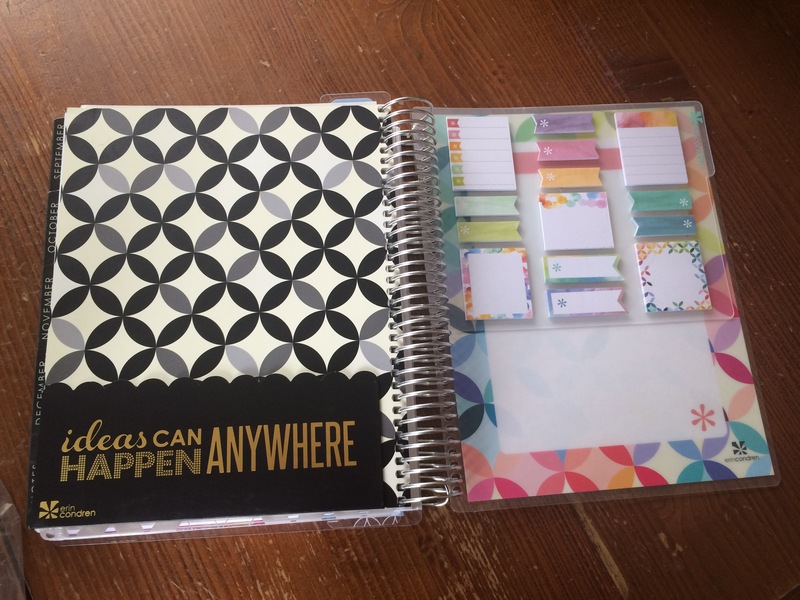 This will be my 4th year using an Erin Condren planner. I have been a vertical girl up till now, but the structure of the hourly really spoke to me, so I’m excited to be in an hourly this year. I love the signature design this time and couldn’t resist the color and cheerfulness of the mid century circles. 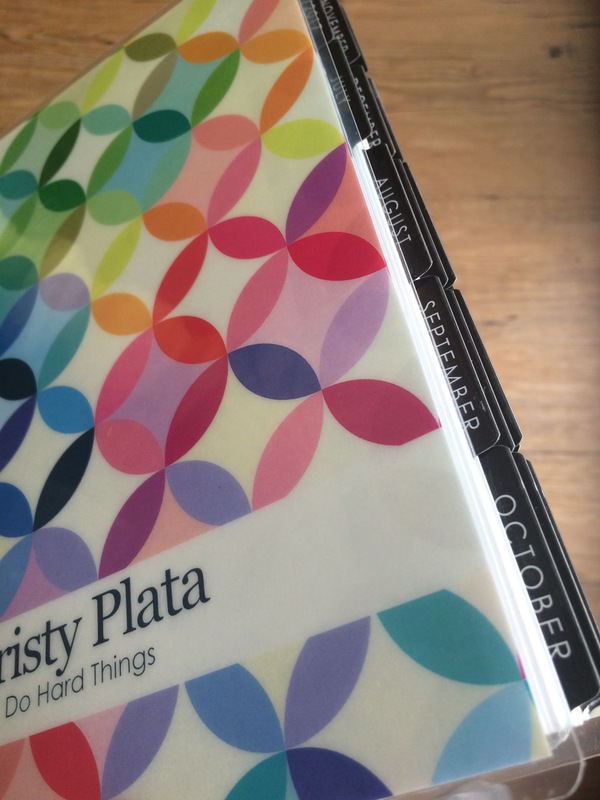 But I went with the neutral on the inside, so the contrast of the black tabs with the party of color on the cover is a little mesmerizing to me. I fell in love with the neutral when I was able to see the new designs at Geaux Wild in New Orleans last May. I loved the idea of having absolute contol of what colors I would use each week and the neutral offered this complete freedom. 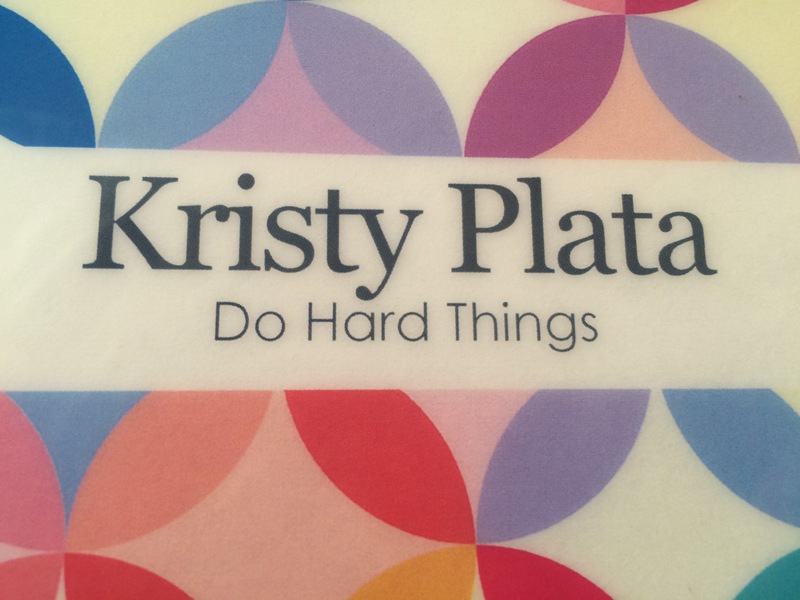 My message this year to myself and others is “Do Hard Things”. I was the speaker at an 8th grade graduation this year and this was the title of my message and my challenge to the students. It will serve as a constant reminder to myself to keep dreaming and better than that, to do things that will bring me closer to those dreams even if they are scary or hard! July is off to a busy start and my monthly view will be an overview for bills (those are not on there yet), extended activities, and a quick glance for business related items. My weekly will probably be a lot simpler this year because I’ll have a full time job teaching and I won’t have time for elaborate decorating. I had to return to #teamblack because black just looks better in the neutral! My pen of choice is the Pilot G2 0.7. I’ve become a pen snob and don’t want to use any other kind! 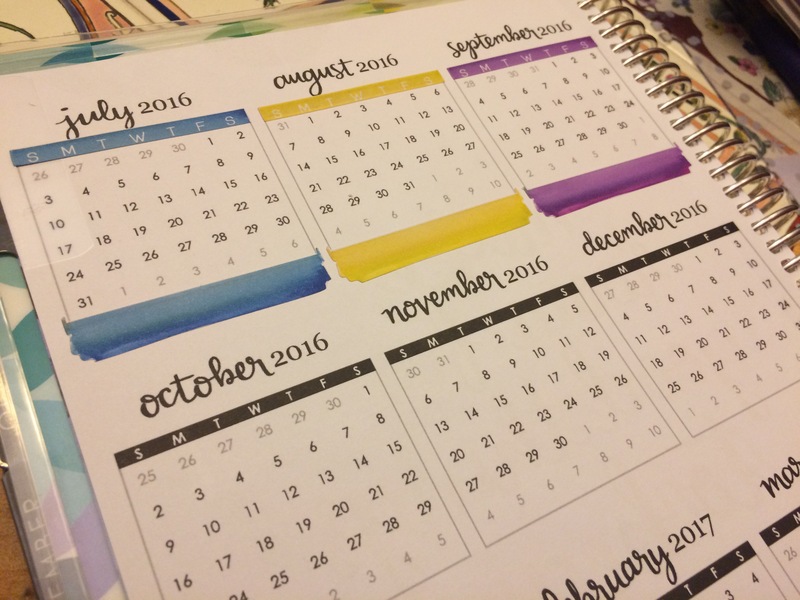 I’ve tried using multiple planners, one for personal, one for finances, and one for business, and it’s just too many things to keep up with. 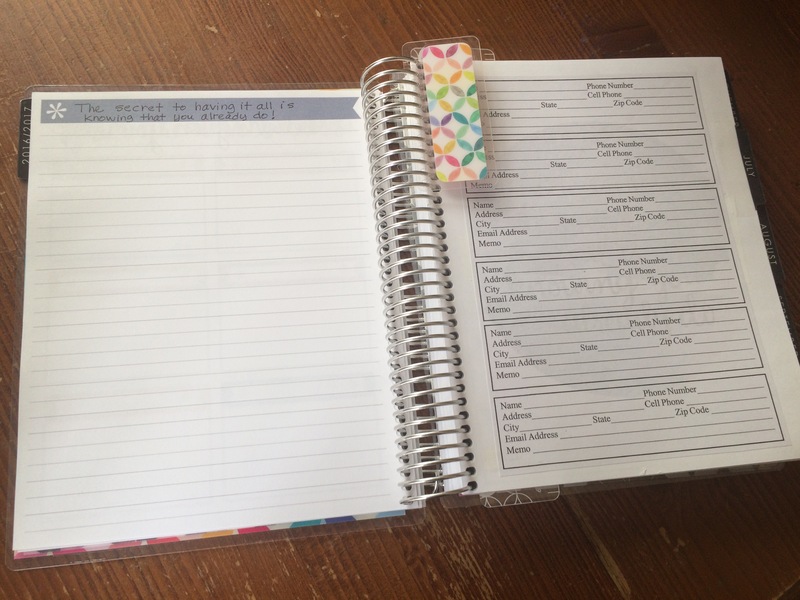 This year, I’m keeping ALL of the information in one place, which means it will always be at the tip of my fingers! 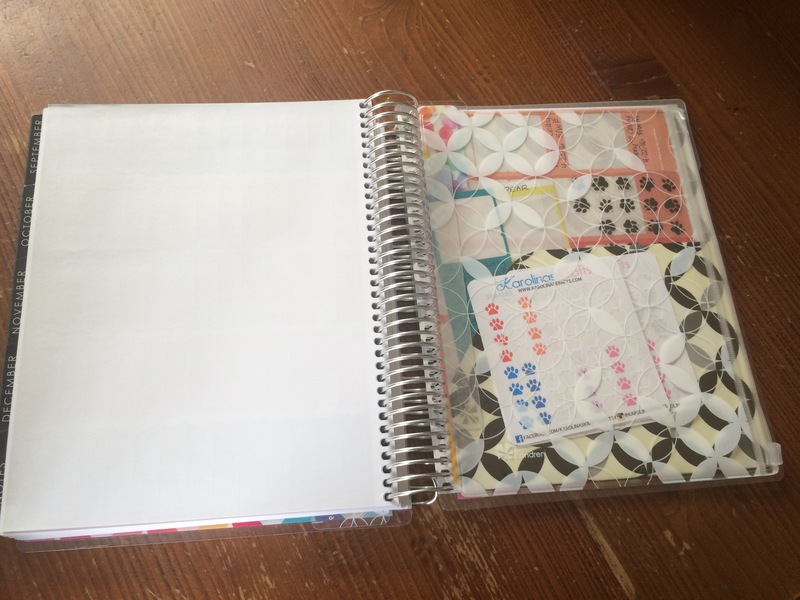 To do this, I’m utilizing the inspirational quote pages and repurposing them as a space for contacts. I am writing the quote on the large flag on the opposite page so I can still be inspired by the words! 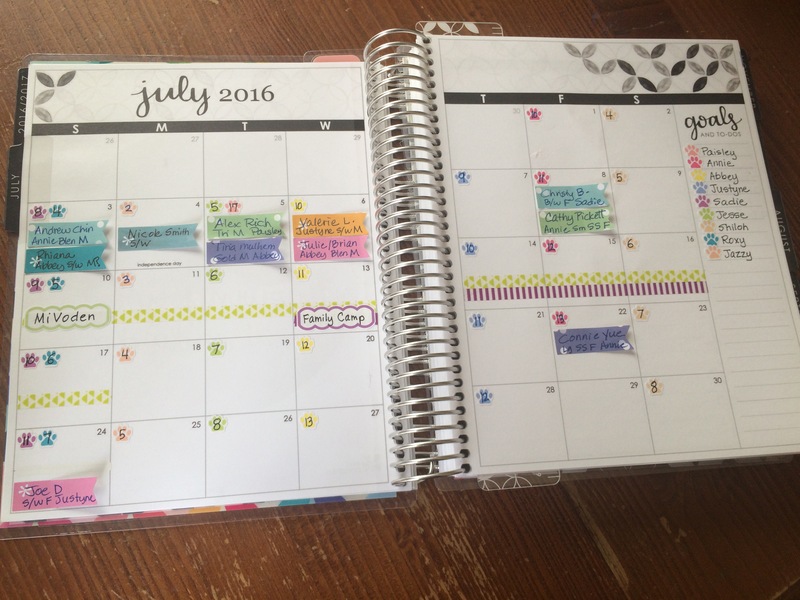 I also adore the tiny page markers and have them in several key places in my planner this year. I am definitely a lover of the zipper pouch and I’ve placed mine right before the pocket page. I have important stickers, stamps, and address labels as staple items, and other misc things find their way there as well. At the back of my planner are the new sticky notes. 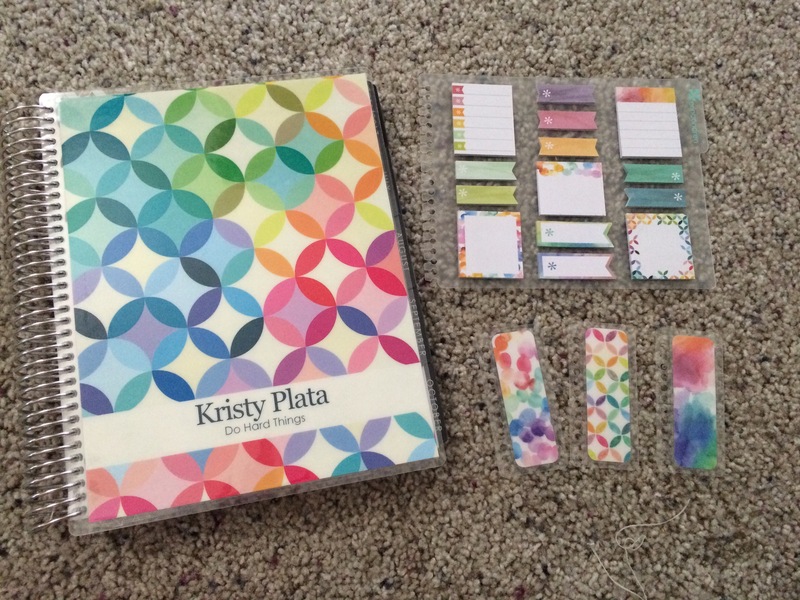 Erin Condren knocked it out of the ball park with these designs. I bought 3 of them because I know I’m going to use them so much! Have you seen them up close? 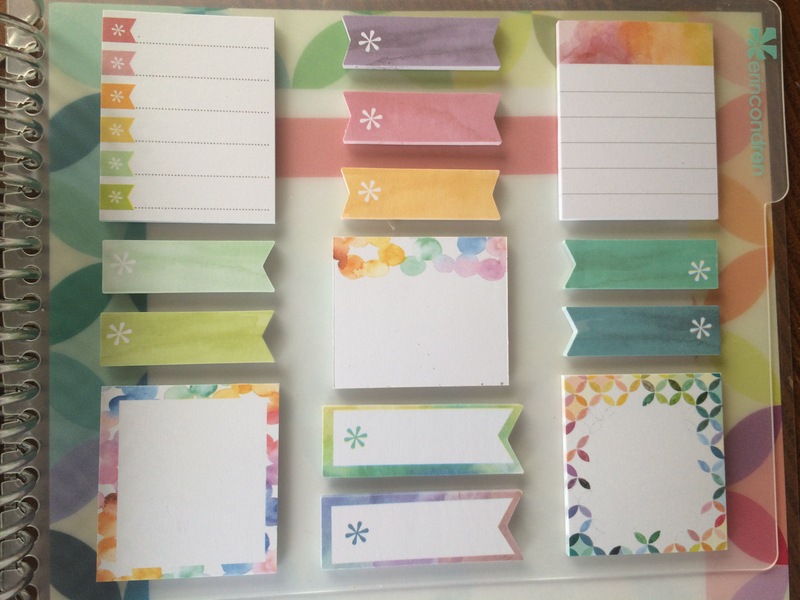 Feast your eyes on the cutest sticky notes on the planet! Choosing neutral this year was not about needing less color. 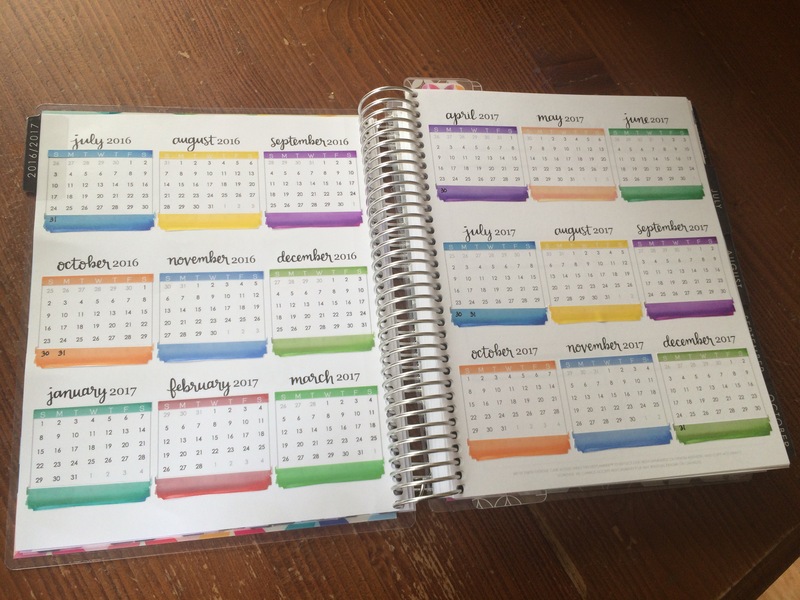 In fact, when I saw the month at a glance pages I was initially disappointed that they had NO color at all. 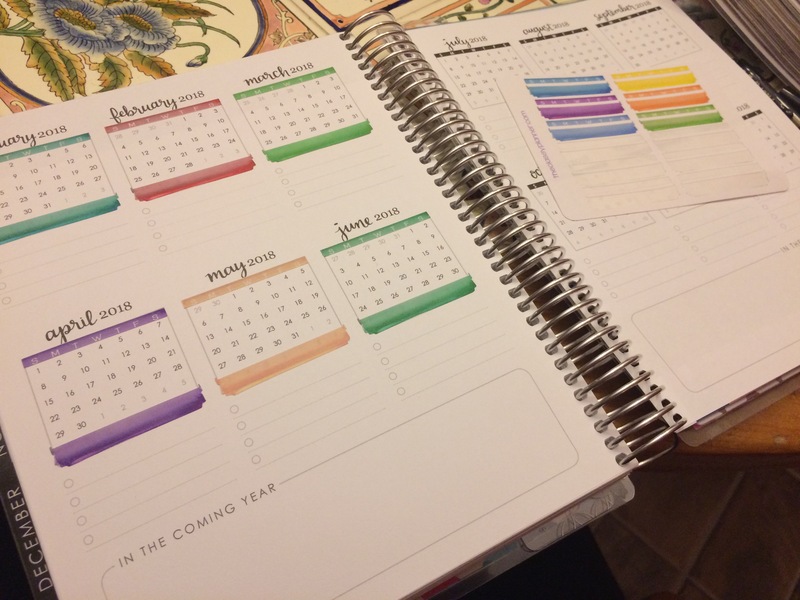 But then I found “The Classy Planner” on Etsy and her monthly overview stickers were perfection! Adding this pop of color on these pages makes my heart sing! 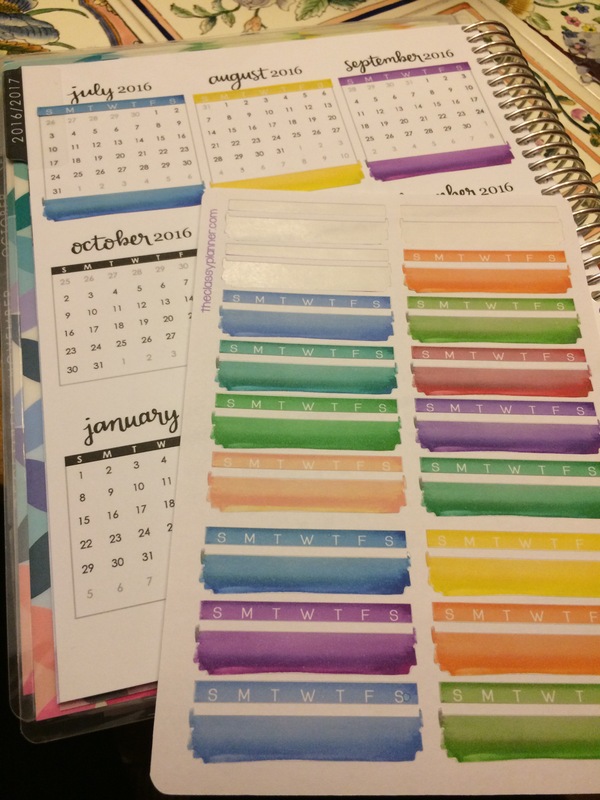 This year I don’t want to “plan ahead” with stickers and color choices. 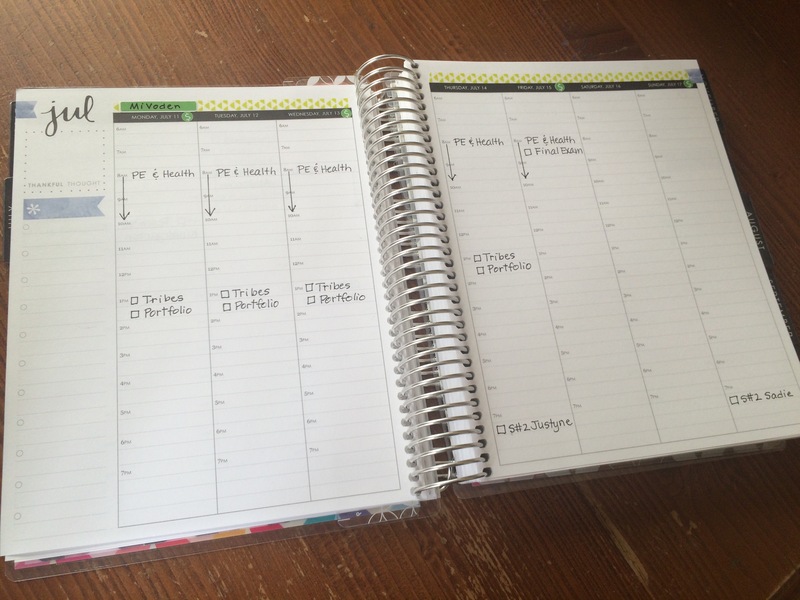 I’m looking forward to having a clean slate each week, and while I know my time will be limited, planning is a therapeutic and relaxing activity for me, and it has become one of my all time favorite hobbies!